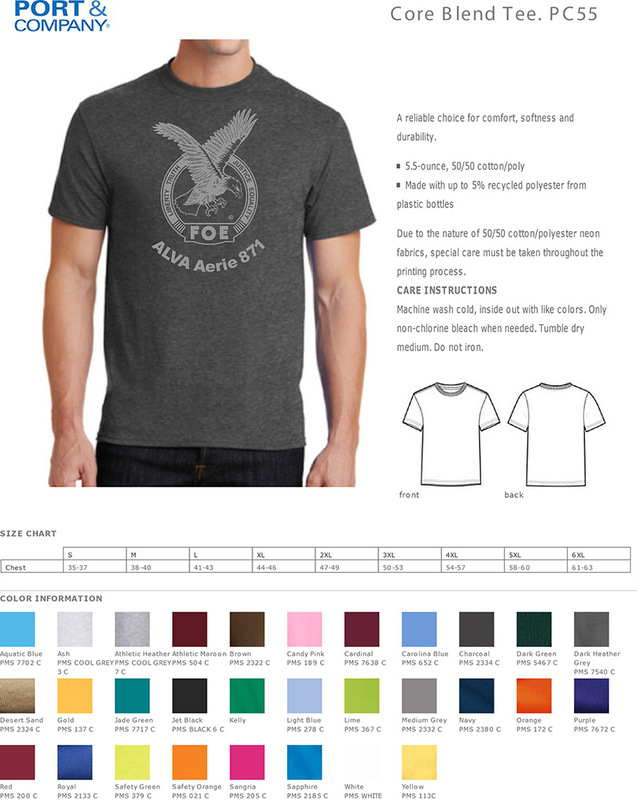 FOE 871 is offering t-shirts with the Aerie logo for sale. They are available in men’s and women’s sizes in a multitude of colors. 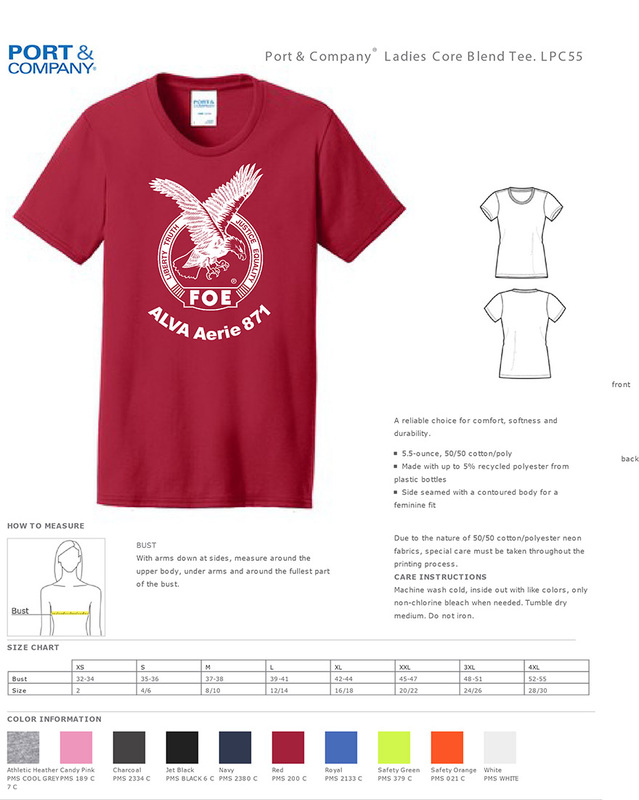 Check with a trustee or the bartender on duty in the Rathskeller if you are interested purchasing one.